Bricking a phone what is it all about. Before I highlights the simple steps on how to prevent your android device from being bricked, we have to have a full knowledge of what bricking is. The term “brick” usually refers to the stone, which means: “device can only be used as paper-weight”. Taken literally, there’s no way to “private The term “brick” usually refers to the stone, which means: “device can only be used as paper-weight”. Taken literally, there’s no way to “unbrick“. I understand that bricking a phone means rendering it unusable, but does this also mean unrecoverable? When a phone is “bricked”, does that mean it is virtually impossible to restore it to a working state? There’s two types of brick, hard and soft. Lets go through this to make the distinction clearer. this is where the handset will absolutely refuse to boot at the press of the power button. Diagnostics: Dead screen, no power. That is the symptom of a hard brick. Reason: This can happen by inadvertently pulling the cable when flashing a ROM or even an update via the handset’s supporting software such as Samsung Kies, Sony’s PC Companion Suite etc. That is the worst case, that is why in this scenario, always, make, sure that no cable gets pulled unless told so by the supporting software in question. The other way is this, flashing in that manner when the battery power is low. Hence for that reason, it is recommended to have at least 75% of battery power in place prior to doing the update in that fashion. Its known as hard-brick, and requires specialist cables and stripping the device down to the circuitary board to revive it via JTAG cables. This can happen through a bad flashing of the ROM in which yields the following. Diagnostics: it has power when the power button is pressed, and/or, the screen comes on. Reason: It can be a user error on this part. For example, failing to clear/wipe the data/cache, can cause Android to go into a boot-loop because of the mis-matches with the Android’s virtual machine and the apps installed, or more than likely, a corrupted dalvik cache. 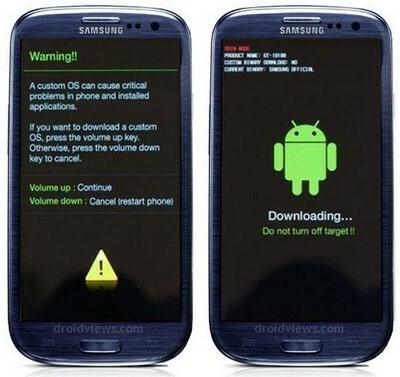 The other, is flashing a ROM that is not designated for the handset which can cause the kernel to go into a boot-loop. This is generally easier to fix, but hangs, that is known as a soft-brick. due to any non supported software installation.